Welcome to the further adventures of Bohren and his crew of axe carrying jazz deconstructionalists. 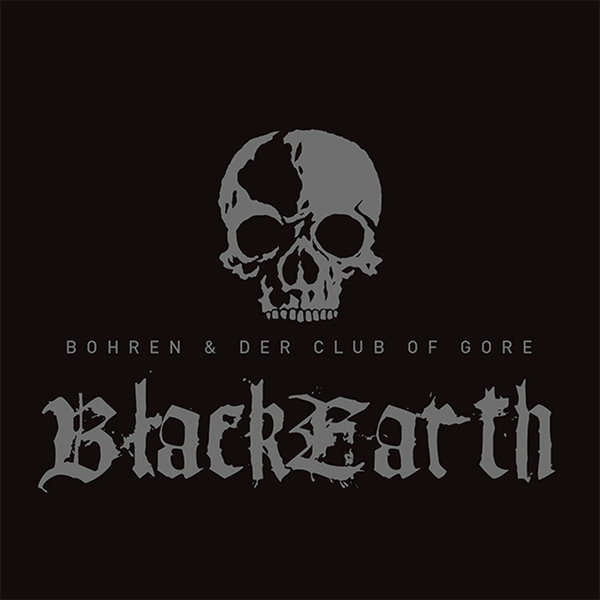 Another Bohren & Der Club of Gore classic seeps up from below, seeing its first vinyl reissue since the original 2002 pressing! Like its predecessor, Sunset Mission, the tone and feel of Black Earth is steeped in a smoky history of noirish soundtracks, European minimalism and the intensity of avant metal, all perfectly weighted for head-plunging midnight immersion. It still beggars belief how they manage to play so slow without at least one of them nodding off during the session, which tends to be as effective as a xanax at those times when required. In their world everything operates at an opiated pace, with silvery solo piano, resonant double bass dabs and spectral voices seemingly curling off the wax into acres of negative space and taking your thoughts with them. In terms of a sonic experience, basically everyone needs to undergo a Bohren album at least once in their life, and if you’ve never squinted into the distance of Sunset Mission or stared into the abyss of Black Earth, you genuinely don’t know quite what you’re missing out on. Back in stock - 2LP housed in black-on-black, spotgloss-printed gatefold jacket, first time on vinyl since 2002!